Feeling so great as a DT for the Quilling Blog. This times Challenge really made me think as to what I should make. 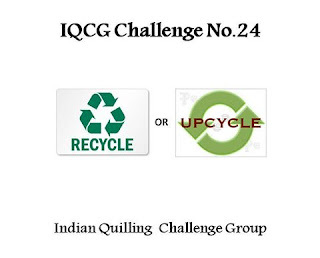 Here we had to recycle/up-cycle any product and use Quilling as embellishment . So I came up with something very different. This was in my list of try outs for a long time. Finally got the right project to give it a try. 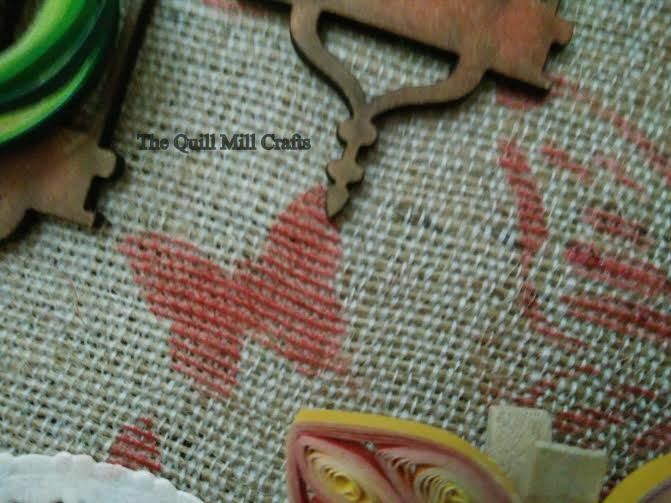 Used Festive Berries DI to stencil Butterfly on to the burlap. 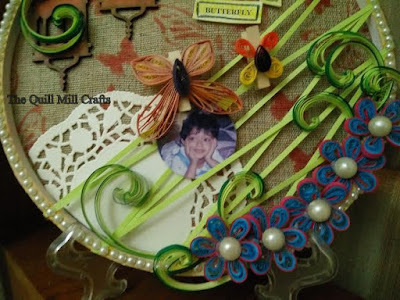 Used Green Quilling Strips to form a Lined Mesh so that photos can be hung using pegs. Added adhesive flat pearl all around the hoop. Using Malaysian Technique made Blue and Pink Combo Flowers . 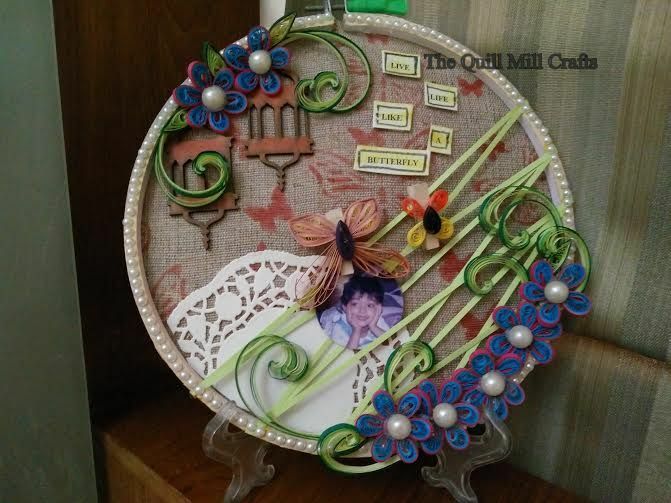 Arranged it with leaves and scrolls on two sides of the hoop. 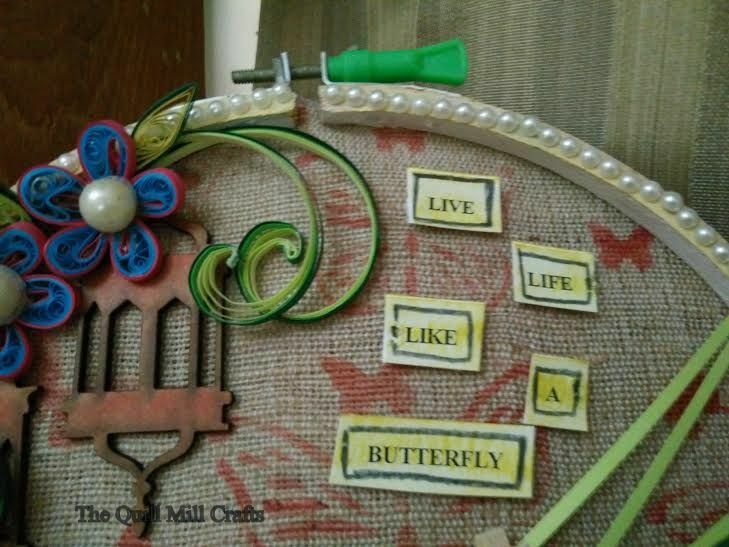 Took two wooden pegs and added butterflies to it. 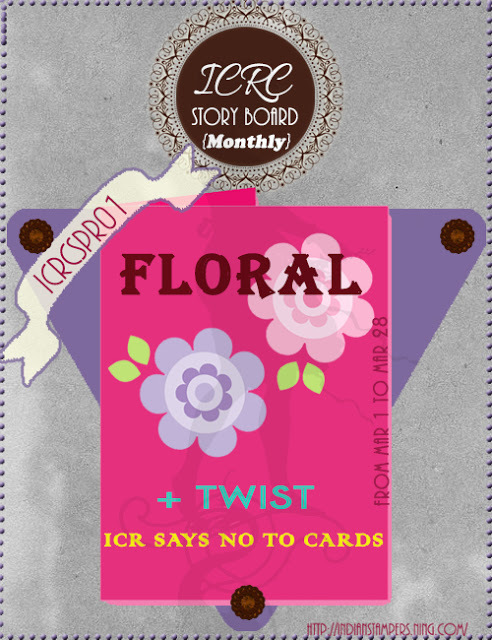 Now Photos can be added. 2-3 photos can be hung here. 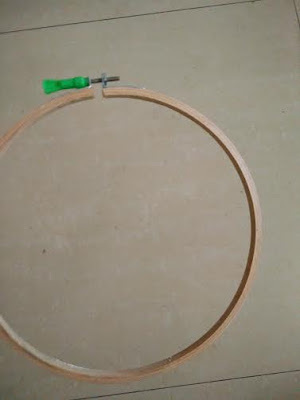 This hoop can be used as Wall hanging or as a table top Decor. I have placed it near my Dressing Table with my daughter's pic. Will be adding two more pics of her with me and my hubby. so I printed and stuck it with double sided tape. Enjoy and make the most of your life. 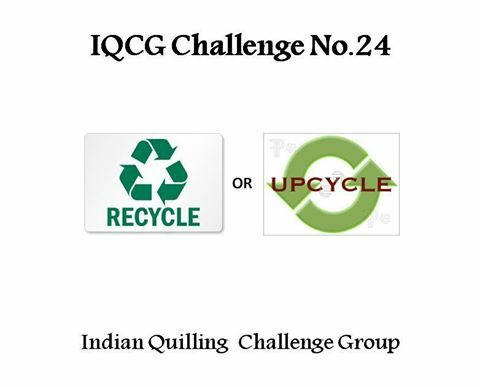 Do Visit IQCG blog for more inspiration and adding your entry. Love your work always meeta. beautifully upcycled. Hats off to your ideas and presentation!! 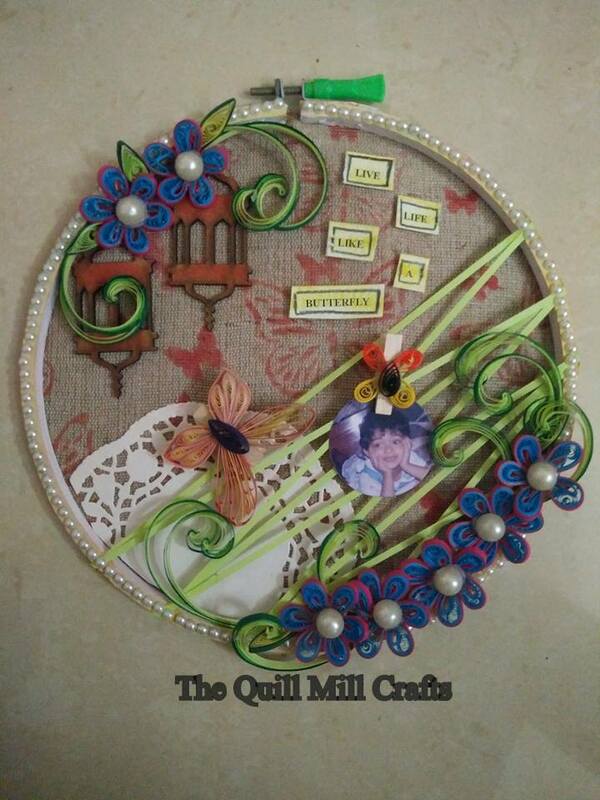 You should definitely try quilling.. It's so addictive like other papercraft. What a transformation, so pretty. 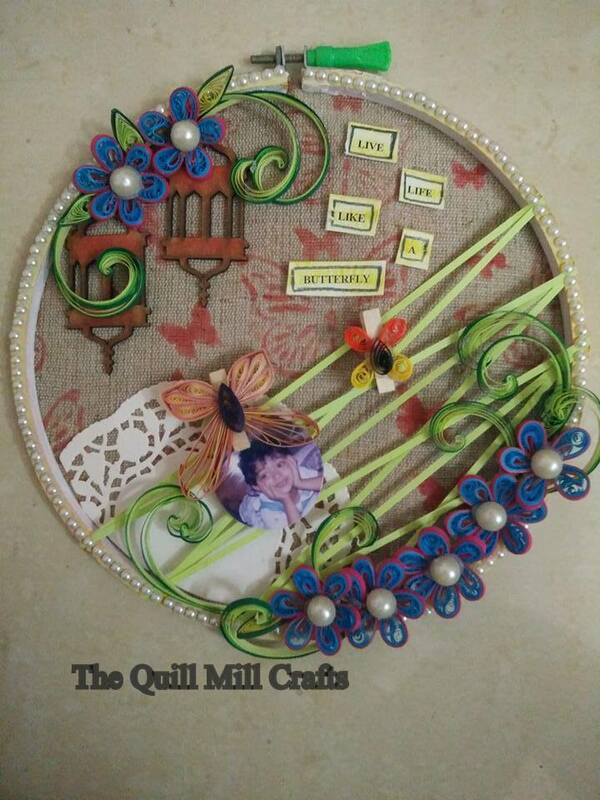 All those gorgeous quilled flowers are lovely. Thank you for joining us at Altered Eclectics.